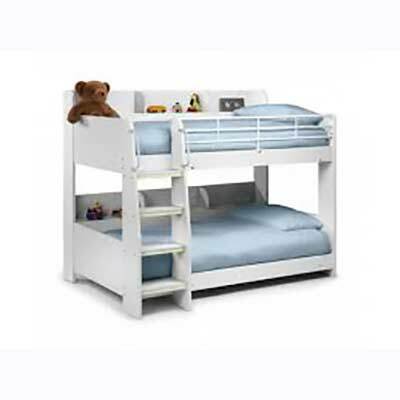 The Domino Bunk in Stunning All White finish is an attractive piece in any child’s bedroom. 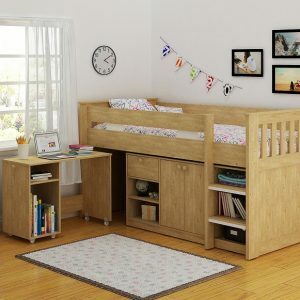 Unique to this product is the additional shelving along the back of each bunk to give that much needed additional storage space. 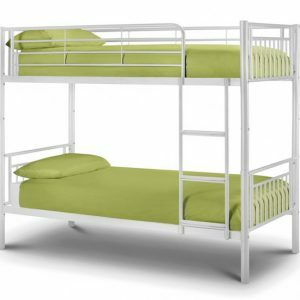 In addition, each ladder rung has a luminous green strip that lights up in the dark. 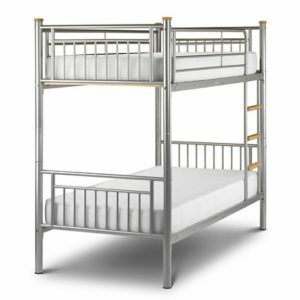 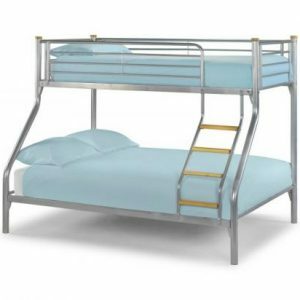 Due to Bunk Bed Safety Regulations, only the Premier or Platinum Mattresses are suitable for use on the upper bunk.